Our Color Spotlight of the Day is… Stargate Granite! 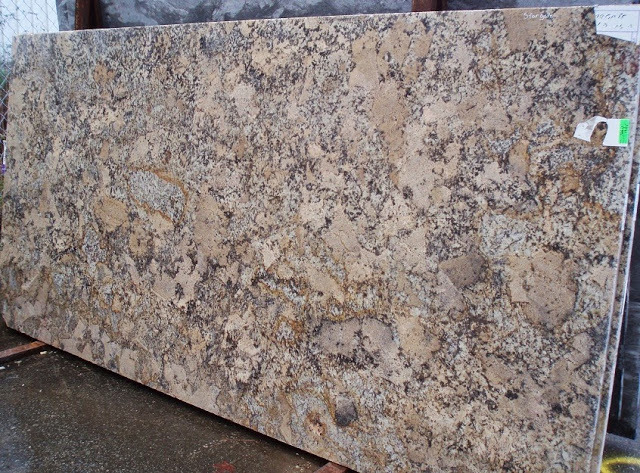 This stone is one of the most popular granite colors around today. Its dominant black color is patterned with random specks of silver all over the surface. Its name comes from the silver specks that create a shimmering effect, like the stars on a beautiful night sky. This unique effect also gives the stone an elegant and luxurious look. Stargate is an extremely durable and hard-wearing granite that is also heat and cold resistant. It is perfect for many applications, especially for kitchen and bathroom countertops, and for flooring as well. Stargate’s dominant black color gives it the flexibility to be paired with most colors and still standout. Pairing it with light colors will give a dramatic look to your kitchen and bathroom. However, it can also look amazing when paired with darker colors. This combination of darks will give a modern and minimalist look to any area . Stargate granite does not vary in color too much under different lighting. However, with natural light, the silver specks that are scattered throughout the stone will seem to glitter and shine. The black landscape of this granite is stunning and definitely an eye-catcher and will make any color that is introduced, whether in a cabinet color or in your decor, standout. It is also a good choice when paired with stainless steel appliances and hardware because of the silver coloring throughout Stargate granite. If you want to try something new for your kitchen or bathroom, then this color is the perfect choice for you! When purchasing any type of natural stone for your home or business, it is best to see the slabs in person, because the colors can vary from one to the other. This way you can select the exact one you want for your project. We have Stargate granite in stock, but quantities are limited! Give us a call to schedule a visit or stop by our warehouse and reserve your Stargate granite slab today!